Welcome to the blog, News Anchors! The American Heart Association invites you to wear RED on-air on Friday, February 1st to help share the truth about heart disease and make ending it a reality. Share on-air why you are wearing red and “Going Red” and post photos to social media using #GoRedCT (Connecticut) or #GoRedMass (Massachusetts) so we can retweet/like them. By joining together, we can fight the #1 killer of women. By wearing RED on National Wear Red Day on February 1st, you can encourage women and those who love them to make a change toward optimum heart health. Here are national wear red day® social media messages. Feel free to copy and paste the suggested messaging below or share your own story or message and include a photo of you wearing red! Be sure to include #WearRedandGive and either #GoRedCT or #GoRedMass in all your social media posts. I’m wearing RED to support the American Heart Association’s Go Red for Women® movement, nationally sponsored by CVS Health, in the fight against heart disease and stroke in women. Heart disease is a woman’s greatest health threat. Cardiovascular diseases claim the lives of 1 in 3 women. To put that into perspective, that’s a third of our mothers, sisters and friends. Wear Red to raise awareness about heart disease – the leading cause of death in women – and encourage family and friends to do the same. 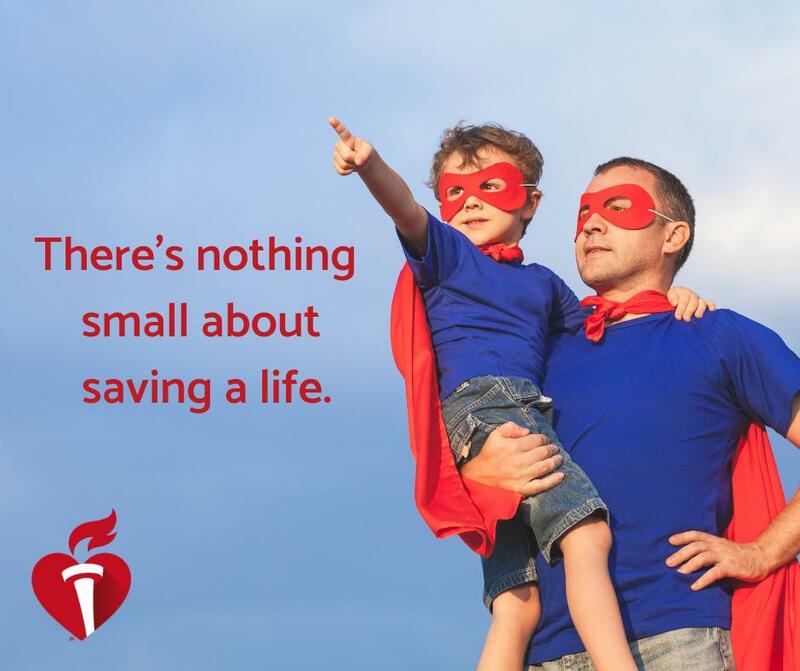 Share your support on social with #WearRedAndGive and visit WearRedDay.org to make a donation to support the lifesaving work of the American Heart Association or at your local CVS Pharmacy, February 3- 23. Pic Idea: Selfie of you wearing red. I’m wearing RED to join @GoRedForWomen in the fight against heart disease & stroke. #WearRedandGive by encouraging women in your life to #KnowYourNumbers and make a Go Red Commitment to act for women’s heart health at Goredforwomen.org/commit. Thank you for your support of National Wear Red and women’s heart health! My story begins in 2011. I had just gone through a divorce and had gotten into great shape or as I called it, dating shape. I was house sitting for friends and had run three miles on the treadmill pushing myself quite hard. As I finished I noticed I wasn’t feeling well and decided to rest a little before going to meet a friend before lunch. My friends whom I was house sitting for had come home and they said I didn’t look that good but I told them I was fine. I met my friend for lunch and without warning I became very nauseous and light headed. I went to the men’s room and found myself laying on the floor with my friend beating on the door asking if I was alright. I got up and asked her to take me to my sisters’ who is a nurse. I assumed I just had some kind of bug. I did not have any idea at the time I was having a heart attack. My sister, like me, assumed it was some kind of bug. Over the next two days I wasn’t getting better and finally one night I couldn’t sleep because I felt like an elephant was on my chest. I told my sister and she rushed me to the emergency room (the AHA recommends you call 911 if you suspect a heart attack). When they put me on an EKG- everyone broke into action and behold I was having a heart attack. They stabilized me and sent me to another hospital where the heart surgeons were waiting for me. They were able to put a stent in my artery and saved my life. I was lucky the damage to my heart was minimal and reversible. I was lucky that I had gotten into really good shape and I was able to recover quickly. I went to cardiac rehab and learned a lot about diet and exercise and was able to run a 5k three months after the procedure. In the year that followed I amended my diet to heart healthy, I continued with my cardio and weight training and went back to school to get certified as a personal trainer. I took all the medication as prescribed and went to all my doctors’ appointments religiously. My stress test always came back perfect. But then in 2015 things changed and so did my life forever. On a Friday in October I went for a stress test at my Cardiologist and passed easy. They were amazed how great a shape I was in and said I was doing great. I noticed for the couple weeks before that I had felt I was just a little fatigued but I had been working a lot with my construction business and my personal training at the gym and thought nothing about it. On the following Sunday I had a great workout and was feeling great. I went to my ex’s house to walk our dog that we had joint custody of. I was going to take him up to the reservoir woods so that he could run free once again fate had other plans. Suddenly, as I was standing in her driveway, I felt intense pain running down my arm and shoulder and I clutched my chest, realizing that I was having a heart attack. My ex-wife rushed me to the emergency room where they put me on an EKG and again, everyone jumped into action. I was in the middle of a massive heart attack. They gave me numerous nitro pills to try to stabilize me and I kind of had an idea I was in rough shape. But I had no idea how bad it really was. At the hospital they discovered I had not one, not two, but THREE, 100 percent blockages in my LAD also known as the widow maker. They attempted to put stents in , but as I found out later that didn’t work. I remember waking up Monday morning thinking everything was all done and I was going to be fine in a few weeks. I called my work partner and the gym that I was going to be out for a couple of weeks but that I was fine and everything was good. Then the doctors gave me the bad news, one of the stents half opened and wasn’t going to work and that they couldn’t do anything about it and they were going to try to do everything they can to figure out what was next. I remember it like it was yesterday, it was Tuesday night and most of my family was in the room when the heart surgeon walked into the room with four other doctors and began to tell me that they were going to do open heart surgery or a double bypass on me. The doctors told me it was going to be very complicated because of where the stent had half opened and that they wanted to wait until my heart healed before they attempted the open heart surgery. They feared my heart would not survive the surgery. As they were telling me this I remember looking over at my sisters and daughters as the intense pain started radiating from my shoulder and arm and I remember telling the nurse that I was having a heart attack. The EKG was off the charts and as they were rushing me to surgery looking at the crash cart next to me and listening to the panic in the doctors voice I realized I probably wasn’t going to make it. How grateful I was to wake up the next day in ICU, in pain but alive. I remember as soon as I was able to talk, I thanked the doctor for saving my life and he told me it wasn’t him, but me and someone else had saved my life. I definitely understood. Later I had learned that I had died and they were able to bring me back. The doctors called me a miracle and said there was no way I should have survived. I had quite a lot of damage to my heart but they said that because I was in such great shape I would be ok. Once again I pushed myself to get back into shape and within a year I was back doing everything I was before, stronger than ever. I started having a cough but thought nothing of it. It continuously got worse and then I couldn’t get out of bed. I went to the hospital where they admitted me for pneumonia. I was treated over four days and they sent me home. Within two months I had pneumonia again and then within a month again. The doctors finally realized I had an infection that had done a great deal of damage to my heart. My ejection fraction had went from 35 and climbing to 22 and dropping. They immediately put a defibrillator in knowing that if I had a heart attack I wouldn’t survive and they told me that I was in congestive heart failure. Now I’m on a lot of medication knowing that at some point I may have to have a heart transplant. I am determined to live a full life and to keep working out. I keep fooling the doctors with what I’m capable of doing and I’m going to keep fooling them as long as I can. You can be the best you – at your peak this holiday season – by eating smart, moving more and making your well-being a priority. And you don’t have to put these healthy habits on pause during the holidays. We’ve got lots of ways to make the healthy choice the easy choice, as well as the fun and festive choice! Find more ways to stay at your peak at www.heart.org/HealthyforGood. We have a trend in our little family to only use due dates as a (very, VERY) general guideline. None of our children have been born in the month they were due. So, when my late August due date came and went for baby number 3 and September began, all I could do was laugh. Caroline arrived, on her own time, in the early morning of September 4th, 2013, 5 long days late. We had a slew of visitors on day 1 including her older brother & sister, aunts, uncles, cousins, grandparents & dear friends. We were smitten and so thankful for this little life after an incredibly rough year of loss & grief in our extended family. Eager to get some rest after her busy birth day my husband Nick and I sent Caroline to the nursery in the late evening of September 4th with the request to bring her back for her feeding. Right on schedule, in the wee hours of the morning the nurse wheeled Caroline in right next to my bed. About an hour after feeding Caroline I was awoken by a wonderful nurse and attentive physician’s assistant who switched on the lights in our room to let us know that they had come to take stats and noticed that Caroline’s color was off – she might have said dusky, I was so tired it’s a blur. She assured us that it was likely nothing but she was going to take her to the NICU for a bit to have her checked out. We had been through this drill before with our oldest, George, who needed a few weeks in the NICU to strengthen his lungs after birth so we didn’t worry too much and we drifted back off to sleep. A few hours later we woke up and Caroline was still not in our room. We decided to find a wheelchair for me and go find her. We were directed to the NICU, which brought back a slew of emotions for both of us. In the NICU amongst the beeping & chirping of machines we found Caroline in room 4. Our prior experience reminded us that the lower the number (out of 4), the closer you were to going home. Not good, Caroline. We stood by her open crib (good sign) and commented on how good she looked! A kind neonatologist approached us and asked us if anyone had been by to talk to us about Caroline. Nope, not yet. So he asked us to join him in “Caroline’s Room” within the NICU space to discuss what they’d found. Nothing could have prepared us for the news he delivered. Caroline was born with three complex heart defects. Transposition of the Great Arteries, Ventricular Septal Defect and Coarctation of the Aorta. Whoa. Our first reaction was – can you fix this? He assured us that she had some of the most easily fixable defects. Easily fixable with open heart surgery doesn’t sound easy at all when your baby’s heart is the size of a walnut. We were terrified, heartbroken and so overwhelmed. The next week involved a lot of research, a lot of questions, many red tear-filled eyes & so much support from those around us. We had everyone from our pediatrician to our families to our new friends at Yale rallying for our sweet girl. We sought out second opinions, researched the pediatric heart surgeons, educated ourselves on her specific defects and tried our hardest to balance our time at the hospital with time at home bringing our older two children up to speed on why Caroline wasn’t coming home. At 8 days old, Caroline underwent 9 hours of open heart surgery. We filled the waiting room with family who worked hard to feed us, make us laugh and distract us. The surgery blew by the expected duration which is when our anxiety ramped up. An hour after we thought she’d be out we were called to a conference room. Caroline’s body temperature was being brought back up and the surgeon informed us that the repairs were successful. Caroline’s recovery was slow & steady. She was in the hospital a total of 20 days from birth to discharge. We felt so incredibly thankful for modern medicine. Born 40 years earlier, our sweet girl most likely would have not had the same outcome. The American Heart Association, the largest voluntary health organization fighting heart disease and other cardiovascular diseases, announces Corliss Montesi of Stanley Black & Decker and Kay Mooney of Aetna, as co-chairs of the 2018 Hartford Heart Walk. The 26th annual Hartford Heart Walk will take place on Saturday, October 6 at a NEW location, the Yard Goats Stadium in Hartford. Montesi and Mooney will lead the organizational and recruitment efforts in the greater Hartford area. They will call on thousands of area volunteers, survivors, walkers, and business leaders to step up to reduce disability and death from cardiovascular disease and stroke, the leading cause of death in the United States. The Hartford Heart Walk will attempt to raise more than $375,000 to fund research and education to fight heart disease and stroke. Each day, nearly 2,400 Americans die from a cardiovascular disease. That’s an average of one death every 37 seconds. Corliss Montesi is Vice President, Corporate Controller, at Stanley Black & Decker, a worldwide supplier of hand and power tools, industrial equipment, and security solutions. Corliss leads a global organization in all aspects of accounting, controls and trade compliance. A passionate supporter of women and diversity, she is also an Executive Sponsor of the SBD Women’s Network. Kay Mooney currently serves as Vice President of Workforce Well-being & Inclusion for Aetna. In addition to overseeing the strategic design, delivery and administration of the company’s employee and retiree benefits, Mooney leads work to understand the many determinants of well-being and build programs that address the greatest area of opportunity – all in line with the company’s strategy of creating a health care experience that’s simpler and more responsive to individual needs. To learn more about the Hartford Heart Walk, or to find out about sponsorship opportunities, please call Wendy Schrlau at (203) 303-3317 or go to www.hartfordheartwalk.org. The American Heart Association/American Stroke Association (AHA/ASA), along with Hartford HealthCare, are encouraging Connecticut residents to join to end stroke, the state’s fourth leading cause of death. Despite claiming more than 133,000 lives annually in the United States, and an average of 1,300 deaths a year in Connecticut, as many as 80 percent of strokes remain preventable. Most people who have a stroke have high blood pressure so it’s important to know your blood pressure numbers and keep them under control to help prevent stroke. Normal blood pressure is below 120/80 mm Hg. Nearly one in six American adults with high blood pressure don’t know it, according to AHA/ASA. The AHA and Hartford HealthCare stroke awareness campaign kicks off in June and will continue through World Stroke Day, taking place on October 29th. 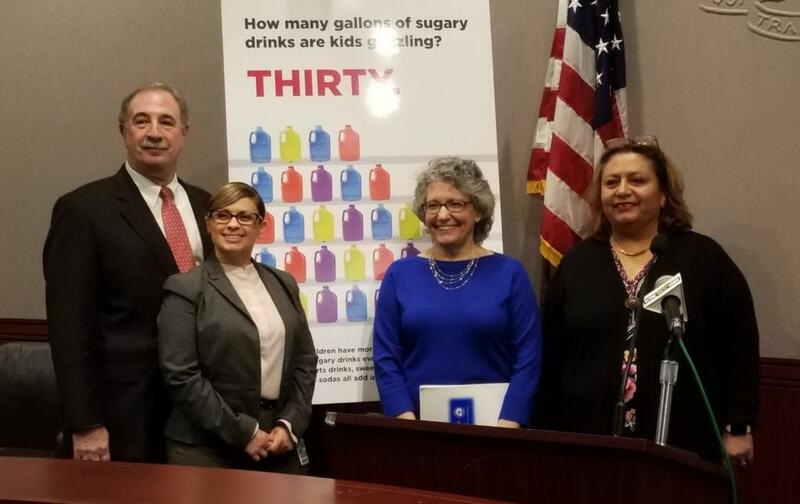 According to the Centers for Disease Control and Prevention, over thirty percent of adults in Connecticut have high blood pressure and many more may be at risk. The American Heart Association/American Stroke Association, offers the free Check. Change. Control. ® program to help individuals identify, track, lower and maintain healthy blood pressure levels. As part of the program, participants check their blood pressure regularly either using an at-home device or available screening locations in the community and have access to resources to help them reach their blood pressure goals. In Connecticut, the American Heart Association issued a statewide Check It! Challenge to encourage residents to get checked and to track their progress at www.ccctracker.com using the campaign code CHKCT. Participants commit to checking their blood pressure twice each month, changing to healthier habits, and work towards controlling their blood pressure. has high blood pressure, and African-Americans are disproportionally impacted. nearly half of blacks in the U.S. have it. In addition, compared with whites, blacks have nearly twice the risk of fatal stroke. About half of the higher stroke risk can be attributed to high systolic blood pressure readings. “With a concerted focus on controlling blood pressure by self-monitoring, we can help people avoid very costly consequences such as heart attack, stroke, heart failure, and even death, particularly among African American communities,” said Neff. By adopting a heart-healthy lifestyle, you can reduce high blood pressure, prevent or delay the development of high blood pressure and enhance the effectiveness of blood pressure medications. You will also lower your risk of a heart attack, stroke, heart failure, kidney damage, and vision loss. While heart disease is still the number-one killer in the United States and around the world, death rates have decreased significantly, thanks in part to earlier and better treatment of high blood pressure. Joining the Check It! program can help you begin on a path of better health. For more information about Check. Change. Control. and the Check It! program in Connecticut contact Lisa Neff at 203-295-2954 or Lisa.Neff@heart.org. For information about high blood pressure, visit www.heart.org/hbp. The American Heart Association, the largest voluntary health organization fighting heart disease and other cardiovascular diseases, announces Jill Hummel, president, Anthem Blue Cross Blue Shield, as chair of the 2018 Greater New Haven Heart Walk. The 2018 New Haven Heart Walk will take place on Saturday, May 5. Registration opens at 9:00am and the Walk kicks off at 10:00am at Savin Rock in West Haven. As chair, Jill Hummel will lead the organizational and recruitment efforts in the New Haven area. She will call on thousands of area volunteers, survivors, walkers, and business leaders to step up to reduce disability and death from cardiovascular disease and stroke, the leading cause of death in the United States. Each day, nearly 2,400 Americans die from a cardiovascular disease. That’s an average of one death every 37 seconds. A leading risk factor for heart attack and stroke is lack of physical activity. The New Haven Heart Walk encourages physical activity while raising funds to support research, advocacy and awareness of cardiovascular disease and stroke research has found that individuals may gain two hours of life expectancy for every one hour of regular, vigorous exercise they do. To learn more about the Greater New Haven Heart Walk, or to find out about sponsorship opportunities, please call Emily Linley at (203) 295-2936 or go to www.NewHavenHeartWalk.org.